Here at Longstems we are ramping up for tulip season. Today’s tulips are grown in greenhouses to speed up growth and extend the flowering season. That means we are getting in tulips right now from Holland, South America, California, Virginia, and New Jersey! The tulip industry is one of the oldest flower industries in the world. 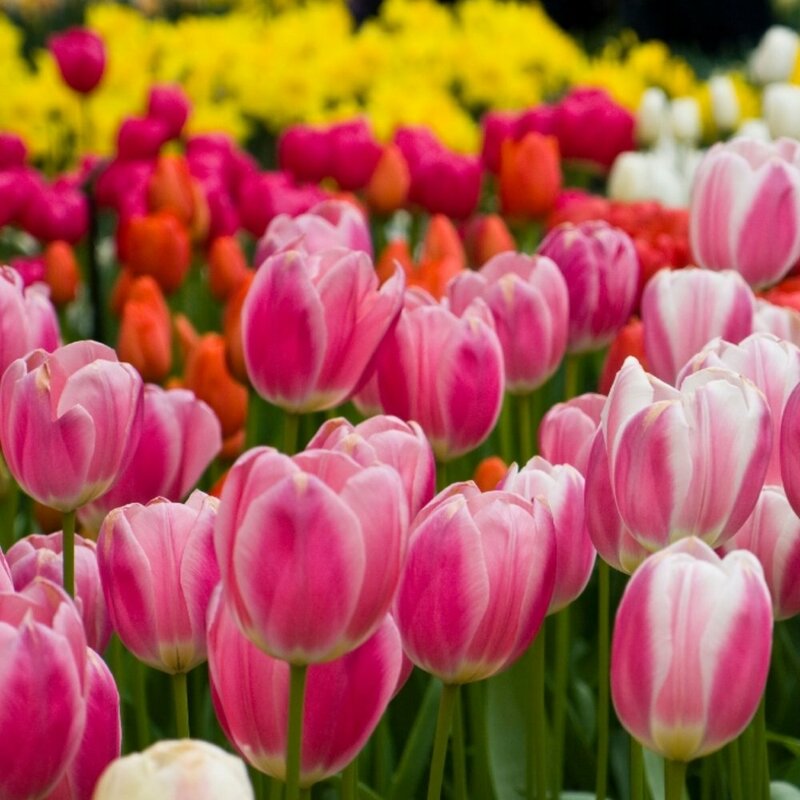 The first cultivated tulips date back to the 16th century in modern day turkey. Tulips really gained their fame when Dutch traders purchased bulbs and began planting tulips in their gardens. Holland became the world’s capital of flower importing with tulips as their most prized commodity. Holland continues to have the largest fresh flower market to this day, with flowers imported and exported all around the world. By the late 17th century, tulips had become so valuable that they were used as currency. The more rare a variety the more expensive and sought after it was. The price of tulip bulbs had increased so much that 10 bulbs sold for a record 12,000 Dutch guilders in 1623, which in today’s US dollars is about $1,150,000. This “Tulip Mania” is attributed as the first economic bubble and shortly after as the first economic market crash. Thankfully, today tulips are an affordable flower that comes in a wide array of colors. Tulips are a very elegant flower that spruce up any floral arrangement.